You'll have to forgive my absence! I've been super busy with nursing school lately (only 59 days until graduation, but who's counting?!) and honestly I haven't been getting as dressed up since I've spent so many days working at the hospital this past month. Now that clinicals are over I will (hopefully) have time to dress up & take pics more! :) So, I don't know about y'all but I am ready for spring! The weather in TN has been crazy lately with snow but yesterday was one of the first days it was actually "warmer" (in the 50s!) so I was able to wear a light cardigan & not freeze to death. 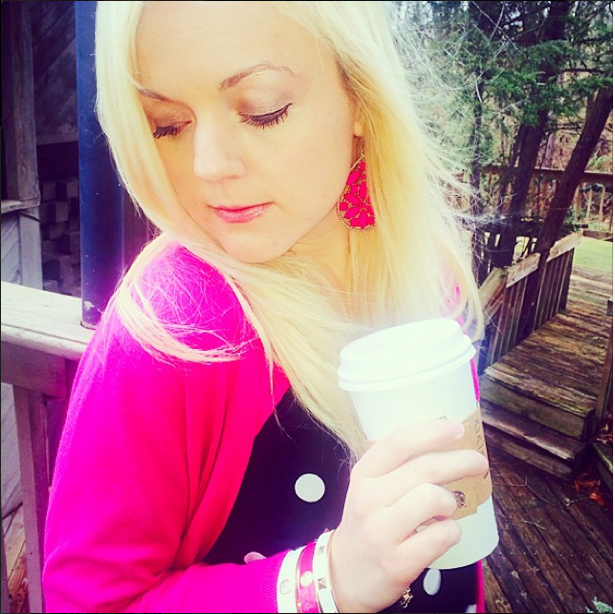 I absolutely love this hot pink cardigan I'm wearing above from J.Crew Factory (You need one in every color don't ya think!?). Even though it was warmer...it was still rainy. Thank goodness for Hunter boots to stay dry (yet fashionable!). Such a cute outfit! 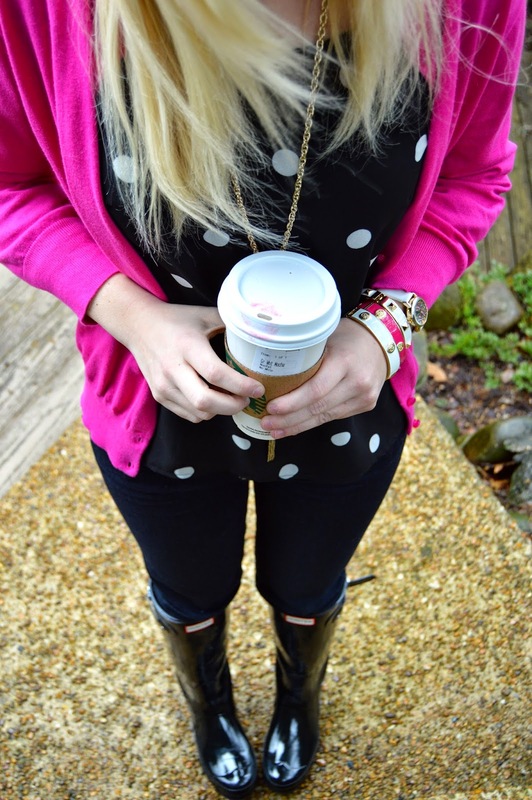 I love wearing a bright color on a rainy day, and pink is always the best choice. It's so happy and romantic. 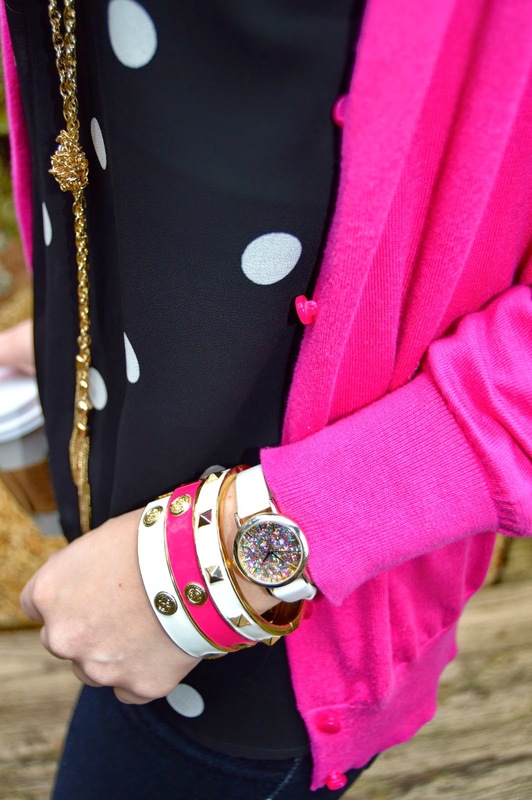 Polka dots are another win. :) Best of luck with your nursing studies! You look superb in your Hunter boots - I love it.